In the past, medication has been used to retard the outbreak of bone diseases such as osteoporosis and metastatic bone cancer. These drugs are in a category known as bisphosphonates that slow down the function of osteoclasts cells. 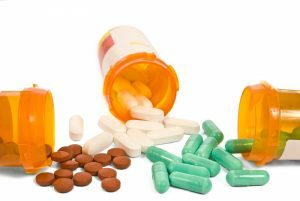 The drugs in this category have different names, and many of them are taken in the form of tablet pills. In a healthy body, osteoclasts absorb mature bone to extract calcium from bones when the body needs it. Also, it helps the body grow by getting rid of dead bone. Osteoclasts help to send out chemical messengers to another cell, called osteoblasts, to build new bone. This process is called remodeling and allows healing throughout life. In some bone diseases, the osteoclasts break down bone more rapidly than the osteoblasts can rebuild new bone. The goal of bisphosphonate treatment is to re-establish the balance between osteoclasts and osteoblasts. For the most part, they function properly and are required to reduce pain and suffering that comes from catastrophic fractures of the hip, wrist, and spine in people who have osteoporosis. It also helps to reduce high levels of calcium in the blood that can develop in patients who have metastatic bone cancer. The therapeutic dosages of treatments can be prescribed, but there is no way to prescribe bisphosphonate treatments to reset the process of bone remodeling that exist in the healthy individual. Bisphosphonate medications have some rare side effect called bisphosphonate-related osteonecrosis of the jaw which occurs after dental implant placement or dental extractions. Another contributing factor includes periodontal disease, malnutrition, smoking, and alcohol abuse. Osteonecrosis is caused by dead bone, and the treatment is very unpredictable. Also, the healing process of bisphosphonate-related osteonecrosis may be painful, disfiguring and impossible. Because of this rare side effect, it can reduce the quality of life in people suffering from the disease. However, dentists are concerned about not extracting teeth from patients that use bisphosphonate treatment. As with all drugs, it is good to discuss with both Dr. Van Treese and your physician on the next step to follow.